The featured programs at Old World Wisconsin give guests the opportunity to dig deeper into the world of Wisconsin’s rich immigrant past. These programs are offered Friday-Sunday throughout the season. View the program list below for a complete list of dates. Did you ever wish you could step back in time? Today is the day. Our Apprentice for a Day program is a chance for guests (aged 16+) to try their hand at historic skills alongside professional staff in the beautiful setting of Old World Wisconsin.  The Wisconsin Journey is a new 90 minute guided experience offering exclusive access to 3 of our historic spaces. This new interactive programming is perfect for guests to experience Wisconsin’s rich immigrant history. Brewers use heirloom hops, barley and 19th-century techniques to recreate traditional beers. Explore the process, learn from the brewers, and enjoy a cold brew on select Saturdays throughout the summer season. Every summer The Eagle Diamonds play both home and away games. Enjoy a game as part of your general admission when you visit on a Game Day. Games are played on the Base Ball field in the Crossroads Village. Mother’s Day Celebration (May 12): Free admission for all moms. Memorial Day Weekend: Free admission for active and retired military personnel.